Cameras, they are what every school wants, and what nearly every school needs. Between theft, unwanted intruders, and law suits, schools are bombarded with a need for video surveillance. 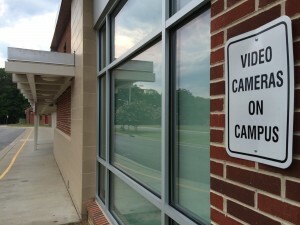 If a school has not yet invested in a camera system, it is time. If an old analog camera system is in place, it is time for the school administrators to brainstorm a new high definition camera system that will allow them to keep clear eyes on potential problem areas. School parking lots are an area where video surveillance is highly recommended. There are countless problems that can occur in parking lots, whether it be fender benders, fights, loitering, or break-ins. As a security company we suggest several cameras to get a general overview of the parking areas and high definition cameras focused on every entrance in order to have a clear license plate number on any car that may enter the premises. This added security measure would allow administrators to view the incident on one camera and then view play back to find the time the car entered the premises and grab a plate number. Everyone knows accidents happen on playgrounds, and when accidents happen, it is best to have video footage if possible. Unfortunately, this is especially true in 21st century where law suits run rampant. Schools need to have the ability to see exactly what is happening in a potentially hazardous area such as a playground. Naturally hallways are the most common location for cameras within schools. These are high traffic areas where kids spend a large percentage of their time and there aren’t always teachers around to monitor everything. From fights, to mishaps and confrontations around lockers and near bathrooms it is important for administrators and staff to have the ability to play back video of an incident in question. 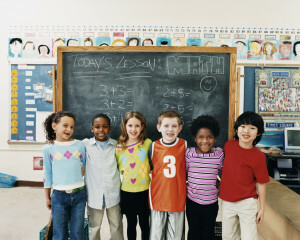 Parking lots, playgrounds, and halls are all spots that we generally see as problem areas in schools. However, your staff knows their school best. Your school will have unique trouble spots that we know nothing about. Perhaps it is a bathroom entry way where fights happen or maybe it’s a hidden corner where kids go to smoke. Regardless of the blind spot, you know where cameras are needed. At Security Alarm, we want kids to be safe, and for their parents to have peace of mind knowing that you have an extra set of eyes on them when they aren’t home.